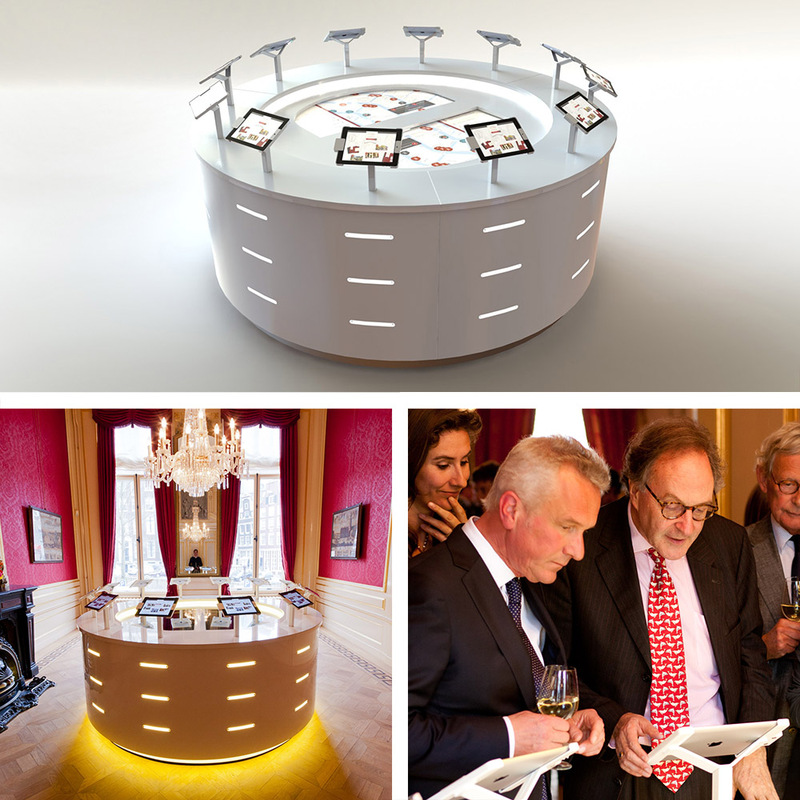 In 2012 the Dutch ‘Museum Het Grachtenhuis’ re-opened after a big overhaul of the building. As the grand finale for their visitors, they wanted to place a modern-looking installation with 12 iPads. The big challenge for Techtive was the requirement for the museum personell to be able to move the (parts of the) installation out of the room through a small door. Techtive was able to design and realize the whole installation and accompanying ICT-installation in a very short period. The iPad-mount has been custom-designed for this project because the mounts available on the market didn’t comply to the principal’s design requirements. © 2019 techtive All Rights Reserved.